Clarksville, TN – Cidnie Sydney-Brewington has joined the Clarksville Sports Network as a photo-journalist, joining James D. Horne and Wade Neely. 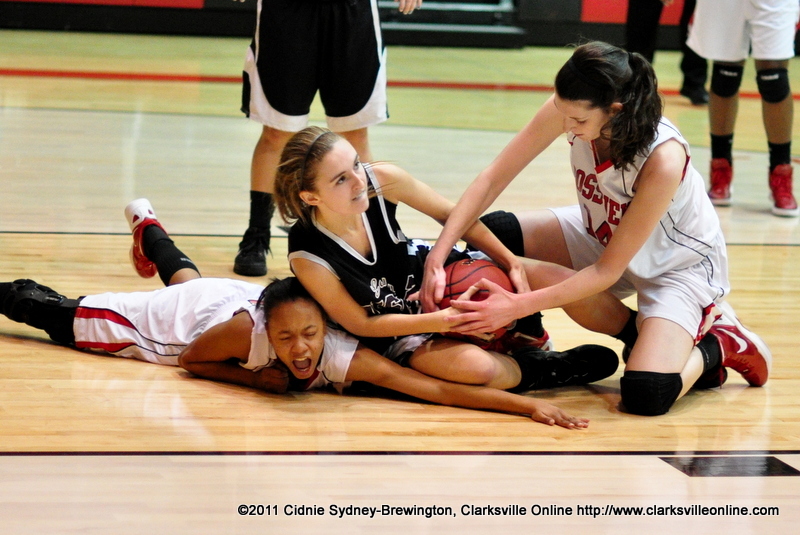 Sydney-Brewington will be responsible for capturing Clarksville’s sporting events on camera. “As a Clarksville native, I am excited to be a part of the Clarksville Sports Network, covering the Clarksville sports scene, having an opportunity for my camera and me to be more involved in that world,” said Sydney-Brewington. Clarksville, TN – To be perfect sometimes you have to go through a little trepidation and the Rossview Lady Hawks faced some against Station Camp in their girls basketball game at Rossview Friday night. But in the end Rossview still won 56-48 and improved to 9-0 on the season. And a lot of it was due to Brady Claybrooks hitting free throws in the fourth quarter. Rossview High School Lady Hawks Basketball. Clarksville, TN – Here’s the photo gallery from Clarksville High’s 70-36 win over Henry County on Tuesday. The win improved Clarksville High to 11-0 on the season. The Lady Wildcats are the top ranked team in The Tennessean’s MidState Poll ahead of Mt. Juliet and Riverdale. Clarksville High will face Munford in their opening game in the Ensworth Tournament next Tuesday and then will play against yet to be determined opponents on Wednesday and Thursday. Clarksville, TN – The Northeast Eagles beat the Northwest Vikings in a boys basketball game at Northwest High School on December 13th, 2011. The win improved Northeast, the top team in The Tennessean MidState boys poll, to 9-0 overall and 6-0 in District 10-AAA play. Northwest fell to 0-8 overall and 0-5 in District 10-AAA action. Northeast will play in the Riverdale Tournament starting on Monday. Northwest will play in Kenwood’s Queen City Classic starting on Monday. Northeast High improved to 9-0 on the season with its 82-31 victory at Northwest on Tuesday night in a District 10-AAA game. Clarksville, TN – There are some games where everything goes your way and that certainly was the case for Northeast High in its 82-31 victory at Northwest in a District 10-AAA game Tuesday night. And it’s especially easy when you’re led by a superstar like the Eagles (9-0, 6-0 10-AAA) are in Kentucky signee Alex Poythress, who led all with a double-double of 28 points and 14 rebounds to go along with six blocks. Clarksville High School had little trouble with Henry County and improved to 11-0 on the season with its 70-36 win Tuesday night at the William Workman Gym. Clarksville, TN – While Clarksville High was happy with its 70-36 win over Henry County in a District 10-AAA girls basketball game at the William Workman Gym Tuesday night, the Lady Wildcats weren’t completely pleased with their overall performance and particularly in the third quarter. It was in that quarter where Henry County outscored Clarksville High 15-12, even though the Lady Patriots still found themselves trailing 50-29 at the end of the period. The Lady Wildcats simply were upset they allowed Henry County to outscore them. Montgomery County, TN – Several local high school basketball teams hit to courts tonight, Tuesday December 13th as well as high school wrestling. Clarksville, TN – Clarksville High School’s Wrestling program will hold its annual Slamfest Tournament starting at 9:00am Saturday with the championship matches slated to begin around 6:30pm. The event will be held in the William Workman Gym and the auxiliary gym at Clarksville High School. Saturday, Clarksville High will be the place to be for those wanting to see some of the best wrestling in the state. The Wildcats Wrestling team and support staff will be hosting its annual Slamfest wrestling tournament at the William Workman Gym and in the auxiliary gym starting at 9:00am. Clarksville High senior wrestler Chad Isbell was the runner-up in the 140-pound class last year. He hopes to win it all at 145 pounds this year. Isbell spoke with James D. Horne of the Clarksville Sports Network. Clarksville, TN – Clarksville High senior wrestler Chad Isbell is proud to be a member of one of the state’s most respected programs. Clarksville, TN – Clarksville High School has so much tradition with basketball so what’s like being a senior on the boys basketball team? Clarksville High School senior Daijon Williams is one of the top boy basketball players in the city and has Austin Peay, Murray State and Coastal Carolina among the schools hoping he will play for them next fall in college. He takes a moment to speak with James D. Horne of the Clarksville Sports Network.